If you jailbreak, you have the option to change your iPhone’s default boot logo. You’ve always been able to do so manually through SSH, but recent jailbreak tools allow you to install custom logos in a much simpler way through Cydia. If you’re unfamiliar with the term “boot logo,” it simple refers to the icon that displays on your iPhone’s screen during a boot. Through the miracle of jailbreaking, it’s rather easy to replace that Apple icon with all sorts of interesting things to look at. 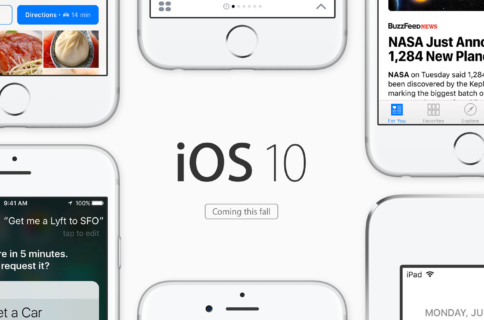 If you’re a fan of Google’s Android OS, then chances are you won’t have an iPhone. But if you love Android and want to spite Apple, you can replace Apple’s boot logo with a shiny little Android bot! Android BootLogo has a cool “shattering” effect when the Android bot replaces the default Apple logo. 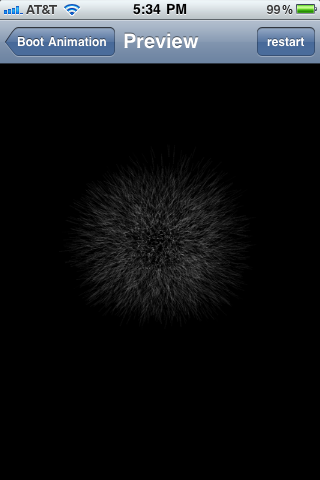 This one is pretty simple, but the effect is visually interesting. It creates a 3D spinning effect of the already-existing Apple logo. 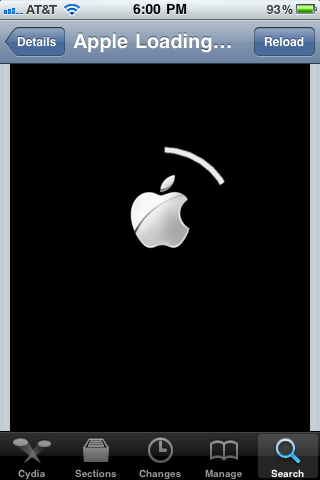 This logo replacement adds some nice movement to the dreary process of waiting for iOS to boot. As another simple replacement, this custom logo adds a matching, circular loading bar around the default Apple logo. Not a lot of bells and whistles, but it’s nice to be able to see your boot progress as the loading bar moves. For those of us that remember the old days, here’s a nice retro boot logo to replace the current greyscaled one. 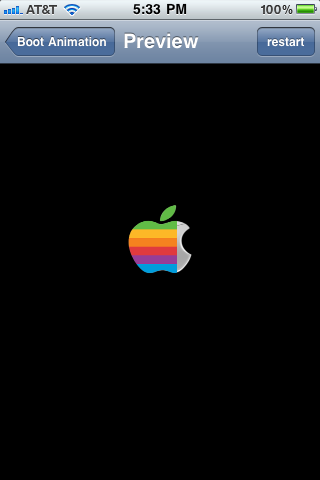 The rainbow colors of the original Apple logo advance overtop the current logo as your iPhone’s boot progresses. ﻿Who doesn’t love Mario. This boot logo replacement packs some nice movement as Mario runs on screen and hits the Apple logo out of the box. Then he runs of and the word “Booting” appears in the retro font from the old Nintendo games. This one plays off of the default Apple logo. The icon shatters into a million pieces. If you’re a fan of Iron Man, you should love this one. Like the design of Iron Man’s arc reactor, the Apple logo glows in the center as bars indicating your boot progress appear around the center. This boot logo sticks it to the man. (The “man” being Apple, of course.) 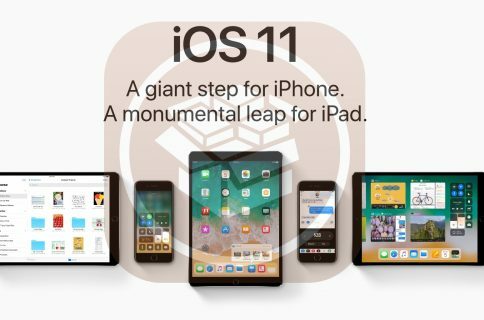 If you’re proud of your alliance to the jailbreak mentality, you can demonstrate it by replacing the default Apple logo with the PwnageTool one. Just be sure to not show this one to any employees when you’re in an Apple store. This geeky boot logo replacement shows you what the internal process of booting your iPhone looks like. 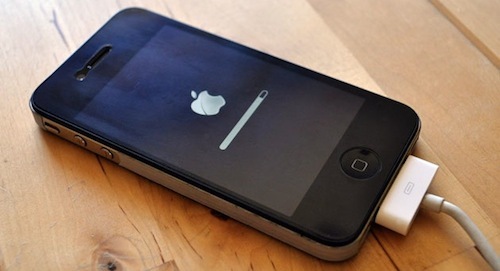 If you’ve ever been curious as to why it takes so long to boot up the iPhone, you can now see iOS work as it checks and prepares different aspects of the software. It’s pretty interesting to see the progression of what an iOS boot looks like on the inside. What’s not cool about explosions? The good news is that, if you’ve jailbroken 4.2.1 with GreenP0ison, you can install these custom boot logos straight in Cydia. Simply search for the desired boot logo and tap install (they’re all free). Once you install, the replacement logos can be found in Settings. The neat thing about this BootLogo window in Settings is that it allows you to preview boot logos within the Settings app. Instead of having to select one and reboot your iPhone to see it in action, you can preview each replacement right there. Whatever you have selected in the BootLogo window will be what your iPhone uses as its boot logo. Check out Jeff’s video on custom boot logos at JailbreakMovies. There are other methods for using custom boot logos, but (thanks to GreenP0ison) the method through Cydia is by far the simplest. We’re curious to hear how you replace your iPhone’s boot logo. What methods do you find to be the easiest? Better yet, what are some of your favorite boot logos? Sound off below!